The American Express® Gold Card is the privilege of a chosen few. Welcomed at thousands of establishments and offering a host of benefits including No Pre-set Spending Limit*, complimentary Airport lounge access across the Middle East and retail & travel insurance, the gold standard is well within your reach. The Membership Rewards programme is our way of thanking you for using the The American Express® Gold Card. Every time you make any purchase with your Card, from groceries at the supermarket or tickets for that much-needed holiday, you will always earn 1 Membership Rewards points on every USD 1 spent. Moreover, your points never expire. So, you can accumulate them and redeem them for a variety of lifestyle and travel rewards from any of our 12 airline partners or hotel partners. Earn 26,400 Membership Rewards Points per annum. Earn 54,000 Membership Rewards Points per annum. Earn 108,000 Membership Rewards Points per annum. Earn 120,000 Membership Rewards Points per annum. Examples shown are illustrations based on redeeming Membership Rewards points towards Avios, British Airways for flights departing from Dubai. The number of Avios points needed are off-peak day prices as of 31st January 2017 and are subject to change. Please visit partner websites for more details. *Terms, taxes, fees and carrier charges apply. 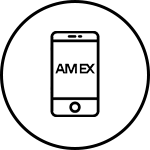 Enroll your Card and eligible Supplementary Cardmember via the Amex mobile application or log in to the online services. Extend the privileges of your American Express Cardmembership to the special people in your life. You can enroll any of your immediate family members, provided they're over 15 years of age for up to 9 Supplementary Cards. Additional Supplementary Cards can also be obtained at a fee. Log in to your Mobile App. 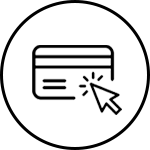 Tap on "Apply for a Supplementary Card"
The American Express® Gold Card is a Charge Card and does not offer a credit limit. You're free to spend as much as you've shown you can afford. * No Pre-set Spending Limit does not mean unlimited spending. Your purchases are approved based on factors such as spending patterns, credit history, and other financial resources known to us.